This darkly comic Scandi-noir has more than a hint of Fargo about it, as bumbling criminals cause chaos in the pristine snows of remote Norway. 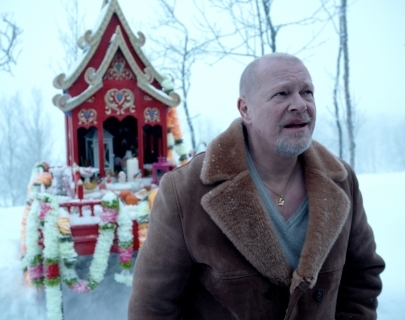 Nils (Skarsgård) operates a snow plough throughout the wild winters in the mountains of Norway, doing his job and minding his own business. But when his son is murdered for a crime he did not commit, Nils transforms into a revenge-hungry machine. His actions ignite a turf war between petulant second-generation gangster The Count and Serbian mafia boss Papa, and soon the bodies are piling up, with Nils stopping at nothing to avenge his son. A smart script and tight performances make this a fantastic addition to the Scandi-noir canon.